What did I achieve over the last 12 months that I’m proud of? 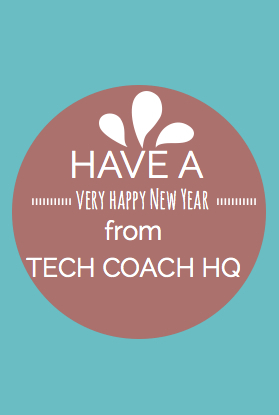 This year has been a steep learning curve as I finally registered the business name ‘Tech Coach HQ’ in March after just running my business under Megan Iemma since 2009. It finally forced me to accept that I have been playing ‘entrepreneur’ for several years (probably since 2008 when I realised I was passionate about teaching adults and helping them understand whatever concept i was teaching). Speaking at several conferences especially #ULearn13 in Hamilton, NZ. What am I grateful for in 2013? I am grateful for the support of my family (especially my husband who has given wise counsel for the financial side of the business) and those in a Facebook Business owners group I belong to. I have gained new friendships, colleagues and been able to share my knowledge in an open forum. I am also very grateful of being able to help out with Dunalley Primary School and the Tasmanian Bushfire Relief. This project was very close to my heart and being able to give back and help the school is something that taught me more about myself (and the power of ‘asking’) than anything else has in the past. My website is a work in progress and very thankful and grateful to Guy Designs who have been very patient with me in designing and maintaining my website. Having a clear layout is so important and will be refining the site in 2014. Connections thru social media (specifically Facebook and Twitter). One example is getting to meet Jane Tepper from EcoSleep Australia, @She’s a Geek (Evie Chapman), Clinton from @TradiePad, Annie from Admin Happy and Sharon from ‘On the Ball Personnel’. These are but a few names and definitely not all the people that I have made the connection first ‘online’ and then met ‘offline’. Two other people who definitely need a mention is Sonia Kokkalos from Recruitment Pool and John Kolm from Team Results USA. Sonia and John have been my mentors and I have known both of them since 2000. The encouragement and honest feedback is priceless and look forward to working with both of them in 2014. There has to be some point where I have to say ‘No’. For me, this year has been concentrating on brand exposure for Tech Coach HQ and being an authority on using mobile devices in business. 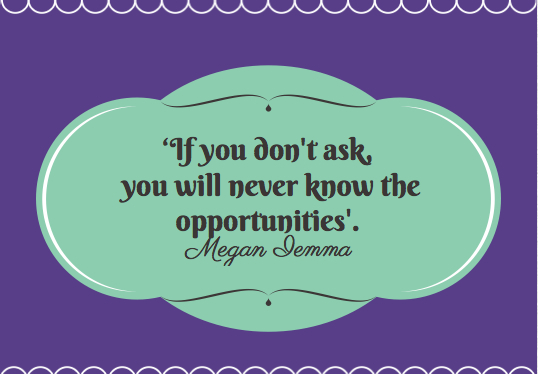 In 2014, what I really need to work on is paid opportunities for the business. Being an educator, first and foremost I am passionate about helping people (but that alone will not make the business prosper). I also learnt that ‘having good systems in place’ from the start in business, is paramount especially when you need to fill in paperwork (or find paperwork). 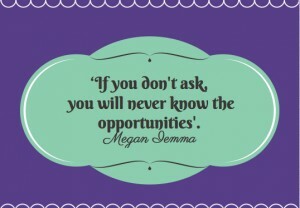 The biggest change is about ‘If you don’t ask, you will never know the opportunities’. This was no clearer than when I helped out with the Tasmanian Bushfires. It has also been the case with new clients and business opportunities for Tech Coach HQ. What worked really well in the last year that I would like to bring forward into the coming year? Consistent writing for both social media, my blog and my two main websites that I write for (Leaders in Heels and Women in Focus). I would love to also further develop my passion for empowering women and using technology thru the networking groups I belong to and attend. Some of the marketing strategies I used, which I will be finishing up in early January 2014. Google AdWords unless they are specific and targeted (not just generic phrases) do not necessarily turn into conversions for your website. Organic content (and writing consistently under certain keywords definitely has been much better for Tech Coach HQ. Not being focused on my target markets (and working out precisely what those target markets were for the business). I have set myself the target of 4 markets in 2014 and will be focusing directly on those (and not getting distracted). How could I do things differently to improve this/these situations? Education for me is always the key. To read, to learn from others is the first thing to improve any situation. I have found several key experts and that is my goal for January to improve in this area. How would I like to feel in 2014? Empowered by what ‘Tech Coach HQ’ achieves and content in the things that I do achieve (and look for ‘baby steps’)! What do I want to achieve in 2014? My biggest goal of 2014 is to be a published author (both eBook and paper book) and a keynote speaker on my passions of using mobile devices in Business. It is also to further develop my clients for Tech Coach HQ and find the tagline that really represents ‘Tech Coach HQ’. In what way can I give back in 2014? As part of Tech Coach HQ, I would like to use the skills I have to help others in the community to gain a better understanding of using technology. Whether this is during ‘Seniors Week’ or some community workshops for business owners, this is my main focus. 10. What is the one piece of advice you would give to another startup or new business owner in 2014? Find tools/apps that work for you whether it is on your laptop, phone or tablet device. I have my favourites (and have shared them in my last two blog posts) but not every tool will work for the same person. The other piece of advice is to set up systems (and ASK for help if you don’t know how) from the start. Thanks to Natalie Sisson from Suitcase Entrepreneur for sharing her post and posting these ideas for others to journal or reflect on. Great post Megan. Each of your points got me thinking on my own answers, and I will likely take your lead and post something myself. I can see how the process you have just gone through could be cathartic and reflective and clarifying for you. All the best in 2014. Thanks for the response Tim. It was a great reflection and really did help with focusing for 2014.